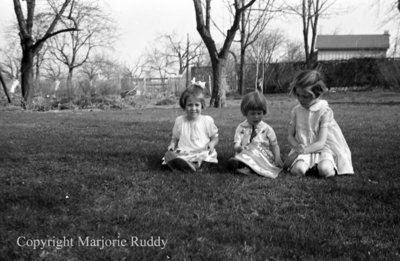 A black and white negative of three of the Beecroft children sitting outside on grass. In this view one child is looking at the photographer. The other two children are reading a book. Beecroft Children, May 8, 1939, Marjorie Ruddy. Whitby Archives A2013_040_875B.